Nintendo Switch Has Sold 10 Million Units in Under a Year | Nerd Much? 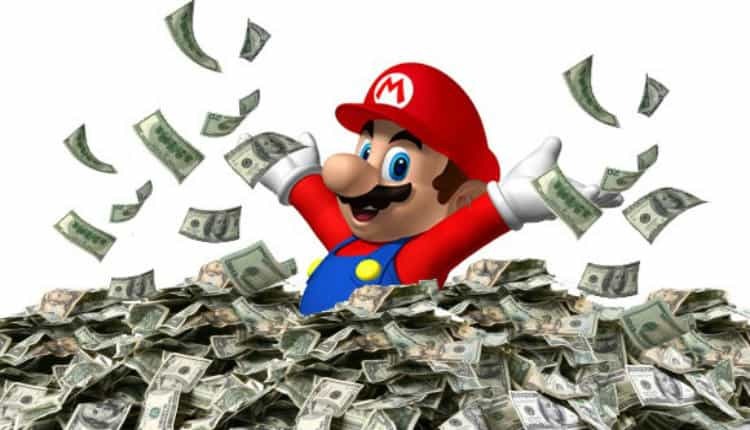 Nintendo's gaming gamble appears to be paying off quite well. The Nintendo Switch was unleashed to the masses back in March. It’s not typically a time in which new consoles launch. Most instead opt to debut around November to capture the holiday rush. But Nintendo is typically unconventional. And here we are in the midst of said holiday sales and Switches are still flying off of shelves. That is, if you can find them. So it’s to no one’s surprise this morning that Nintendo has revealed some impressive sales figures for their flagship console. The company has announced that to date, which is just 9 months, they have sold over 10 million Nintendo Switch consoles. The diversity of playing options the console provides is just one factor as to the Switch’s popularity. The other has to be the impressive catalogue of software that was published within the system’s first nine months on the market. Chief amongst them being Game of the Year winner, The Legend of Zelda: Breath of the Wild. Outside of Zelda, we’ve seen Super Mario Odyssey earn itself numerous perfect scores. Mario Kart 8 Deluxe, ARMS, and Splatoon 2 were all also fantastic first party additions coming out of Nintendo’s camp. Mario + Rabbids Kingdom Battle also surprised many and reviewed quite well. However, that Mario offering was developed and published by Ubisoft. The Switch has found itself becoming the new favorite destination for indie titles too. With many studios citing dramatic sales performances on the Switch over PC. Games like Rocket League, Golf Story, Shovel Knight, and Stardew Valley have found new and vast audiences on Nintendo’s portable hybrid. Large scale 3rd party offerings are finding their way back to Nintendo fans as well. The Elder Scrolls V: Skyrim, L.A. Noire, FIFA 18, and Doom are all big time games from huge third party partners currently testing the Switch waters. And indications are that sales numbers are sufficient enough to warrant further Switch consideration in the future. With the holiday season still being in full swing, it’s likely Nintendo will still be seeing their latest console fly off the shelves into January. In early 2018, we can expect a Nintendo Direct to fill us in on the majority of Nintendo’s 2019 plans for the console.